This is a work in progress report about our workshops in Bath. In June 2013, at the launch of the Yardtstick Literary Festival set up to celebrate writers from across the African diaspora, I came across the organisation BEMSCA – the Black and Ethnic Minority Senior Citizens Association. The walls of Bath Central Library were decorated with fine pencil drawings of some of the BEMSCA members, men and women from Bath’s various Black and ethnic minority communities some of whom had resided in the city for more than forty years. Among the writers taking part in the Yardstick Festival was the Nigerian-British playwright Chino Odimba, a writer on attachment to Bristol Old Vic where a number of her plays have been performed. Later that summer, while thinking about the ways in which Warwick’s Multicultural Shakespeare project might effectively engage with the Black and Ethnic Minority communities in Britain, I chose to work with BEMSCA partly because they had already expressed their creative interests – through working with a visual artist and in publishing a series of booklets about their life experiences. Chino Odimba, the Somerset based writer, agreed to work alongside me in forging the project, the outline for which appears below. This project will bring together the Bath Ethnic Minority Senior Citizens Association (BEMSCA) and a group of local young people from the Black Family Group to explore storytelling and some of the themes and characters in Shakespearean plays. The project team members are Pauline, Dee, Chino, Mark and Rod. The two Shakespeare plays we will be working with are King Lear and Romeo and Juliet. Sessions will take place at the Percy Community Centre, New King Street, Bath, unless stated otherwise. Selected excerpts from the plays. Expectations and numbers/membership to be confirmed at the initial meeting. Arrange recording - equipment etc. Introducing the project, ourselves and thinking about Shakespeare. Workshop on Shakespeare – some big themes. Sayings and phrases from Shakespeare. Sharing ideas about family conflicts, young and old, passing on the baton etc. Second session with Black Family Group March 8th – follow up from session one. Third session with Black Family Group with BEMSCA joining in at 12.00 noon. Working with Shakespearean excerpts already chosen by the young people. Young and old in pairs and small groups. Reading out chosen Shakespearean ‘moments’, group discussion of themes. Why stories matter – more time with the young people. Working with young people to talk about the mechanics of storytelling using examples from Shakespeare…what stories tell us about the world around us…why their stories matter. Presenting the dramatized excerpts to BEMSCA. Further readings, discussion and evaluation. Throughout the course of our spring 2014 workshops, we welcomed university students from both Bath Spa University and Bath University to contribute to the group work and to comment on their learning. Below is one of the reports from Sophie, a second year student in Education at Bath University. The Shakespeare Project is engaging the young people to focus on how Shakespeare messages and plays could be perceived at this time. From being present, I have seen that the young people enjoy this project and they really get involved in the tasks. The project helps the young people be creative, think in depth about the moral of the story in Shakespeare’s plays and why this is important. The young people have been constructing questions to ask the Elders, which helps the young people understand how themes in Shakespeare’s plays are different now and what differences there are. The questions were constructed from themes such as Justice and Betrayal. The teachers involved in the project are supportive and are up to date with their knowledge of young people, which helps to build good relationships with the young people. The sessions are fun and interactive which allows the young people to express themselves and the sessions always engage the young people. 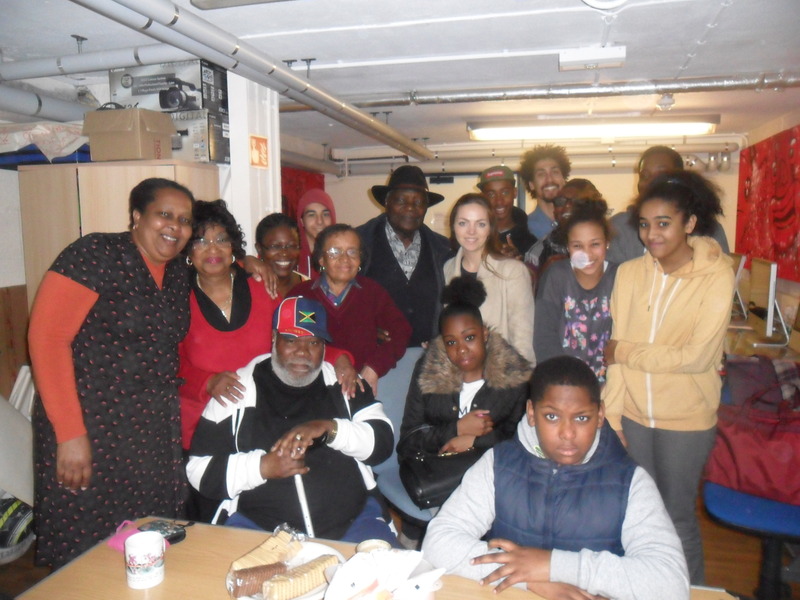 The series of workshops with BEMSCA members, including some with mobility difficulties, was possibly through the kindness and diligence of their coordinator, Pauline; and the lively contributions of the young people from the Bath Black Families Group obviously owed much to their education coordinator, Mark. The outline programme of work is represented here to give some indication of what we aimed to achieve. However, over the course of our time together, I believe we surpassed our expectations: we felt satisfied that we had successfully brought the generations together using Shakespeare as a medium, that we had built on the young people’s school work on Shakespeare and enabled both groups, young and old, to employ their storytelling skills. In exploring our findings further, we hope to be able to provide a more substantial account of this work. In the meantime, however, thanks again to my co-facilitator Chino Odimba, Pauline at BEMSCA, Mark at the Black Families Group, their colleagues and the local arts infrastructural network – Bath Central Library and Yardstick Festival in particular that brought us together.